This part of upstate New York, Dutchess County, has one of the highest rates of Lyme disease in the country. Duerr is part of a research team that is trying to understand why the region is such a hotbed for the disease, which is carried by animals and can sicken humans. Clad in white suits smeared with deer feces, she and other scientists from the Cary Institute for Ecosystem Studies in nearby Millbrook, New York are busy calculating the local deer population as a prelude for conducting an unusual experiment. The researchers want to know whether the incidence of Lyme disease will change if the composition of critters in a community changes, and if the presence of certain species might “dilute” the concentration of the virus. To that end, they will trap mice, chipmunks and gray squirrels and redistribute them between small patches of forest they have zoned for the study. And then they will watch to see what happens. The small islands of green in our backyards and parks are stripped-down ecosystems harboring relatively few species compared to the rich variety of animals and plants in larger swaths of open land. Since scientists have found that humans are more likely to get West Nile virus or Lyme disease if they live in areas where biodiversity is low, Duerr and her colleagues want to learn which of these resilient animals — and in what combinations — have the greatest effect on disease, and in which spaces they are found. The answers could affect future land-use decisions and prompt new strategies to lower rates of infection. West Nile and Lyme are zoonotic diseases, meaning they emerge from non-human wildlife populations to infect people. In the case of West Nile, a mosquito acts as the viral messenger between animal and human. 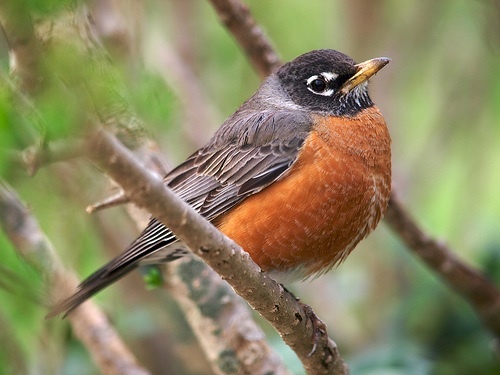 If a mosquito carrying the virus bites a bird — like the American robin — that is able to develop a substantial viral load in its blood, then the next mosquito to feast on that bird may acquire the pathogen. The more of these virulent pests there are flying around, the more likely one will bite a human and transmit the zoonotic pathogen. The number of humans infected has fluctuated across the country since West Nile arrived in New York State in 1999. According to the Centers for Disease Control, there were on average over 4,500 cases and 160 deaths per year in the United States since 2002. A similar process of transmission holds true for the more common Lyme disease, with 26,739 confirmed U.S. cases in 2008. (Although Ostfeld thinks both Lyme and West Nile numbers may be significant undercounts due to budget cuts at county health departments, which are the source of the CDC’s data.) Since the first cases were recognized in the mid-1970s in Lyme, Connecticut, deer ticks have been implicated as the wildlife-to-human smugglers. Awesome article. I actually think the dilution effect would work. This makes sense. I was bitten in my backyard and have been sick with Lyme for 13 years now. The problem with healthcare is an entirely different story but this problem with Lyme effects everyone, even athletes like this runner http://www.beatlymediseae.com who apparently went hiking and was bitten and remained sick for 4 years until she finally recovered from it. Once people are bitten it’s so hard to get over these nasty pathogens. Thanks so much for the article. also there are good wikipedia information online about what to do about Lyme Disease. Again, thank you for the article and the research! A good web page that has a interactive map that tracks Tick- Borne vectors is…. http://WWW.DOGSANDTICKS.COM. It tracks by State and County.Our Four leg family members have ticks that often love to bite the owner.One bite could change both your pets life and yours.I look forward to the results of this research. Ostfeld has a long history of “science” that keeps trying to get the focus off the deer as carriers of the ticks. For people who don’t want the deer seen as the problem, Ostfeld is the answer. Deer are the primary reason why there are so many black-legged ticks (a/k/a deer ticks), but deer don’t carry the disease itself. Therefore, Ostfeld “studies” the role of the white-footed mouse and other small creatures, since they do in fact serve as Lyme reservoirs. He ignores plenty of evidence that if you reduce the deer population to the appropriate threshold (10-15 per square mile), you get the tick population down dramatically and the Lyme disease drops with it. 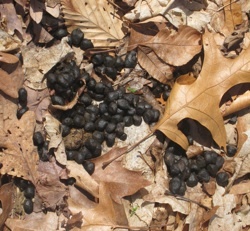 No other forest animal is present in sufficient numbers and densities to serve the role of the deer in transporting huge numbers of ticks, giving the adult female her last blood meal before she drops off and lays 2,000 to 3,000 tick eggs and starts the tick life cycle all over again. I’ve been teaching my students and colleagues for years about the importance of biodiversity in mitigating the evolution and spread of highly virulent forms of microbes. Indeed as species diversity declines, the populations of those that remain increase exponentially to take advantage of the resources and space left unfilled… if microbes are competing for resources (hosts) then natural selection should favor more virulent strains as host availability increases (e.g., burn your bridges behind you so your competition can’t follow). To make matters worse, those species that can coexist with us, are immunologically similar enough that viruses can “lock-in” on us and spread interspecifically. Perhaps biodiversity is driven by this natural checks and balance system as imposed by a rapidly changing and adaptive microbial community. Think it such as a journal or a magazine from general interest proper to browse. Funny, witty, controversial, entertaining, useful, acerbic, thoughtful, serious, curious, unexpected comebacks are usually welcome.